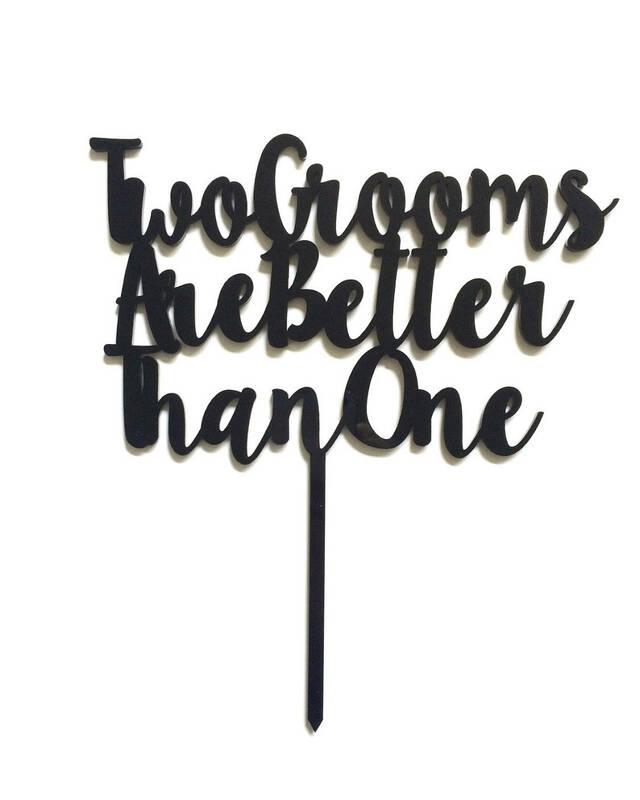 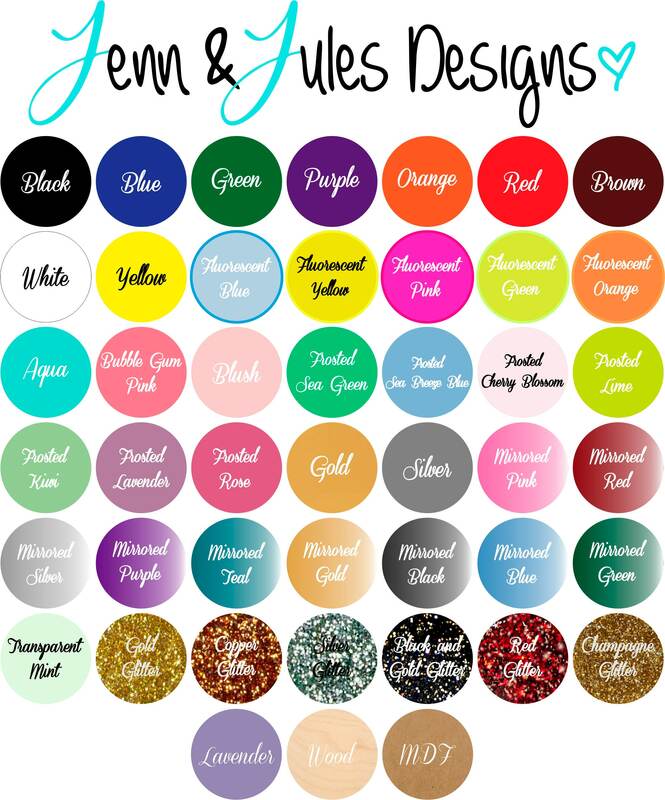 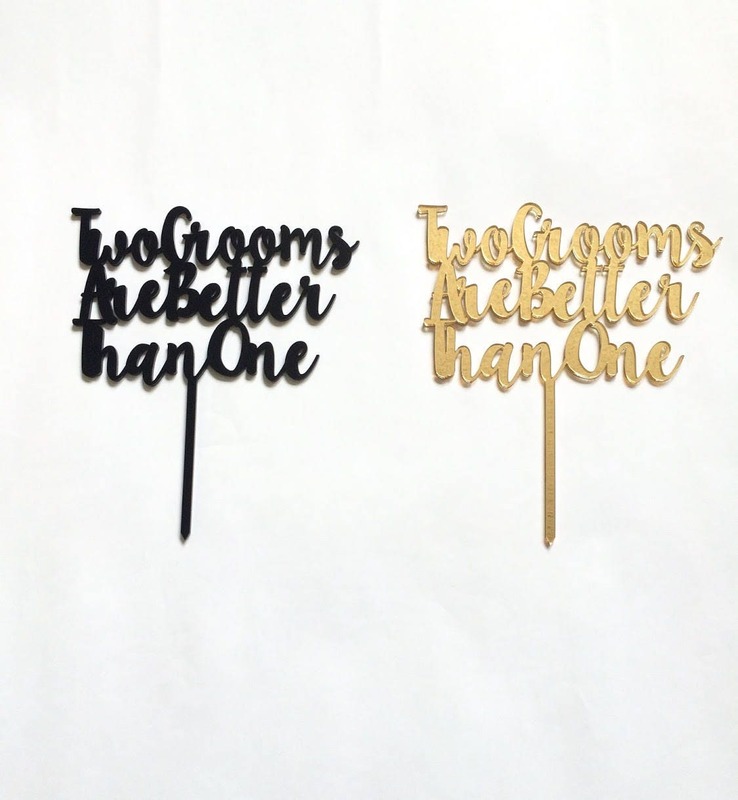 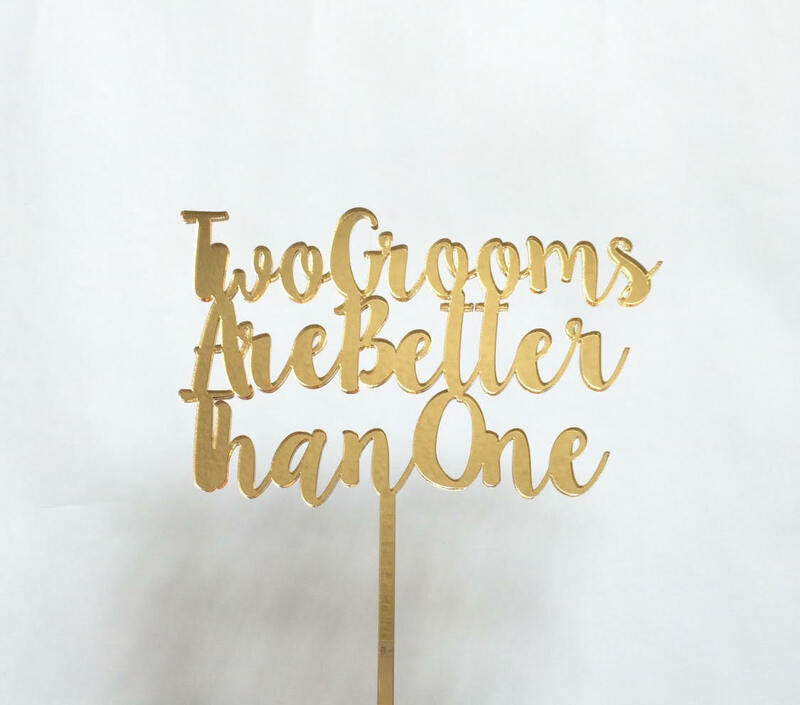 Our Two Grooms are Better Than One laser cut cake topper comes in all of our acrylic colors and unpainted/unfinished MDF, perfect for your wedding or event styling needs. 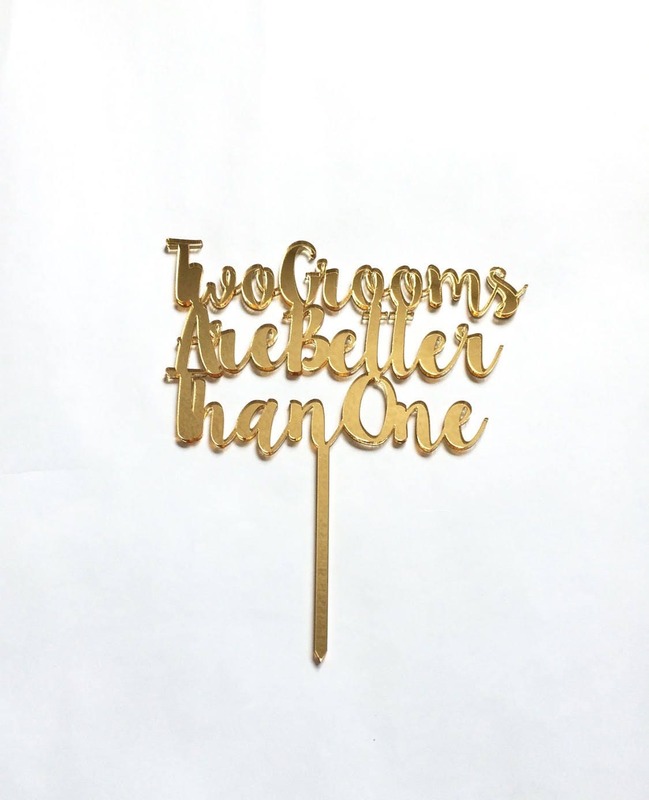 This modern mr and mr cake topper is fabulous for destination weddings, modern weddings, engagement parties, and so much more. 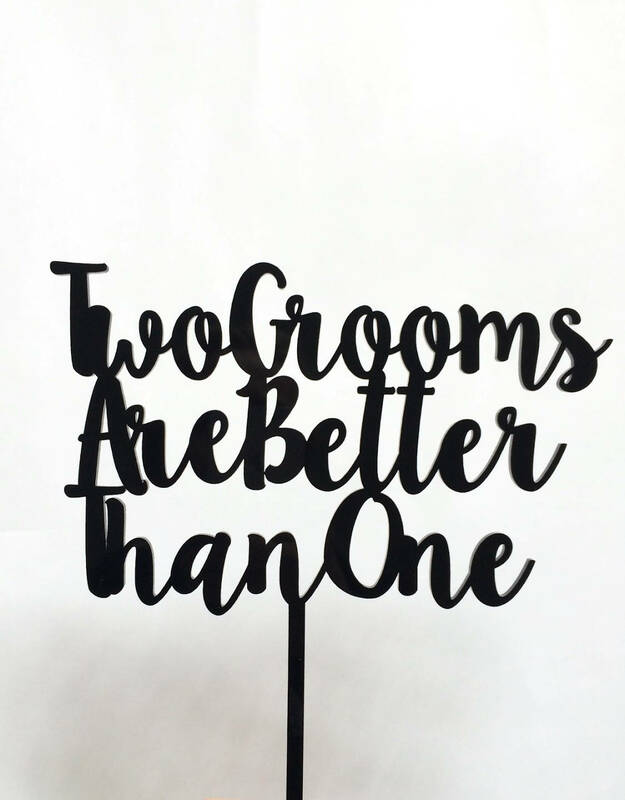 Love is love and love will always win.